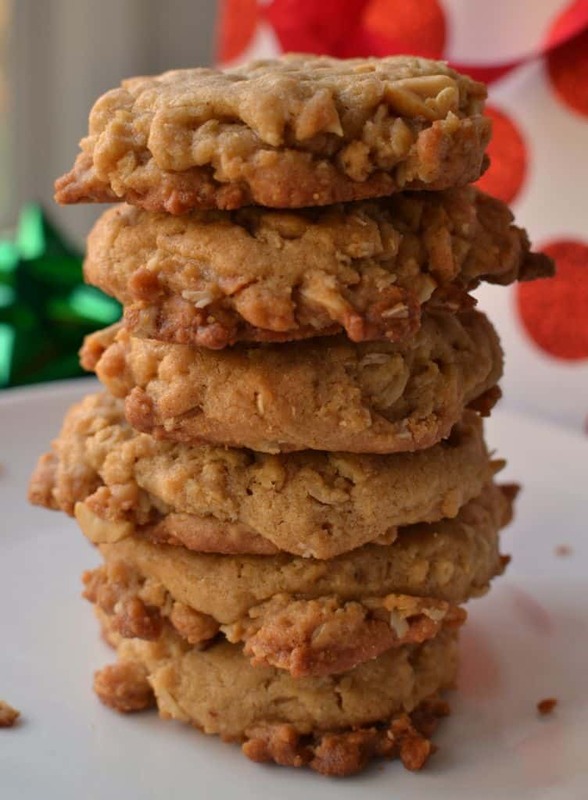 Oatmeal Peanut Butter Cookies are delectable soft melt in your mouth treasures. The recipe is quick and easy to follow with options for splitting the batch and adding chopped peanuts or chocolate chips. These along with Small Batch Almond Joy Cookies and Buttery Pecan Snowball Cookies are some of my absolute favorite cookies. Cookie season is here and with it brings all kinds of treasured memories and delectable treats. I remember my eldest daughter and I made about forty dozen cookies for the neighbors one year for Christmas. It was a really long day but we had a lot of fun and we shared a lot of laughs. I bet you too have some great memories around baking cookies and it is never too late make some new memories. 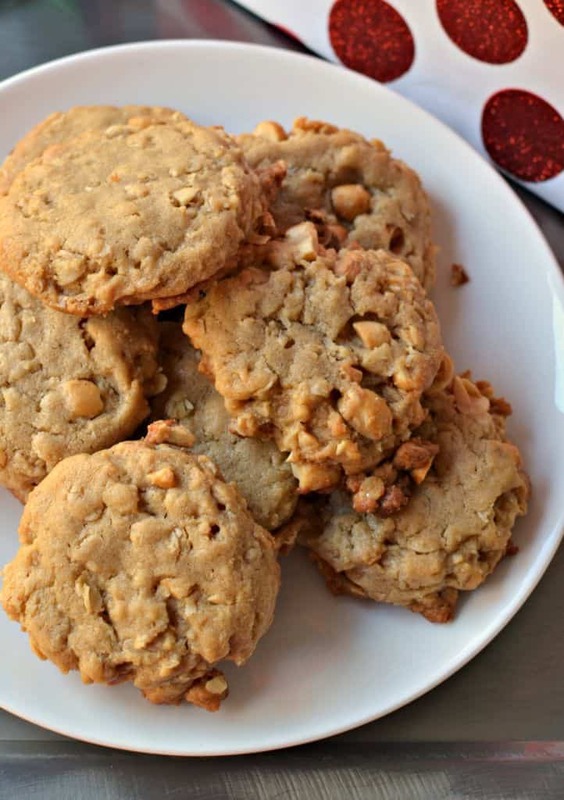 How to make Oatmeal Peanut Butter Cookies. In a small bowl whisk together the flour, baking soda and salt. Then set it aside for just a bit. Cream the butter, brown sugar and white sugar. Blend in the the peanut butter. Add the vanilla and egg and mix in just until incorporated. Stir the flour mixture into the butter mixture in three parts scraping down the bowl and beaters. Stir in the oats and the chopped peanuts. Using a cookie scoop load the cookies on baking sheets that are covered with silicone mats or parchment paper. Bake until lightly browned. These cookies crumble easily when hot so they need to cool on the cookie sheets for a couple of minutes before being moved to cookie cooling racks. Your ingredients are not the right temperature. You need to bring your ingredients to room temperature. Your butter should be a little soft and easy to leave an indent in when you lightly press on it. Likewise in the summer time you have to be careful not to let the butter soften too much. Make sure you bring any eggs out of the fridge ahead of time. It takes about 30 minutes for eggs to come to room temperature. Your baking powder and baking soda are no longer any good. Make sure your baking powder and baking soda are still good. For baking powder, place 1 teaspoon baking powder in a small bowl or measuring cup and add 1/3 cup hot tap water. For baking soda, place 1/4 teaspoon baking soda in a small bowl or measuring cup and add 2 teaspoons vinegar. If the mixtures bubbles than you are good to go. If not replace these products before using them in any baking recipe. Always measure ingredients properly. Spoon your flour into your measuring cups and level off evenly with the smooth end of a table knife. Make sure to level off your sugar, baking soda and baking powder as well. Always preheat your oven and try to bake the cookies on the middle rack. For proper spreading they need the heat to be able to circulate around them as evenly as possible. You did not read your recipe instructions thoroughly. Recipe writers usually include recommended chilling times if necessary or other helpful hints to make sure your cookies bake off without a hitch. You did not do a test run. You worked hard on that Oatmeal Peanut Butter cookie dough so dish out one to two dough scoops and place them in the oven. Keep an eye on them and establish an optimum cooking time. If the cookies spread too fast refrigerate the dough for at least another thirty minutes and try again. Cream your butter and sugar for a few minutes before adding the peanut butter. When adding the flour to the butter mixture turn the mixer to stir or better yet grab a spoon and hand stir it. Also stir in your oats and peanuts. You can use salted or unsalted peanuts but I personally like the salted ones better. If available use a cookie scoop so they are of uniform size. Gently press the cookie dough down with palm of your hand or the bottom side of a flat glass. Do not over bake these cookies. Gently remove these cookies to cookie cooling racks. 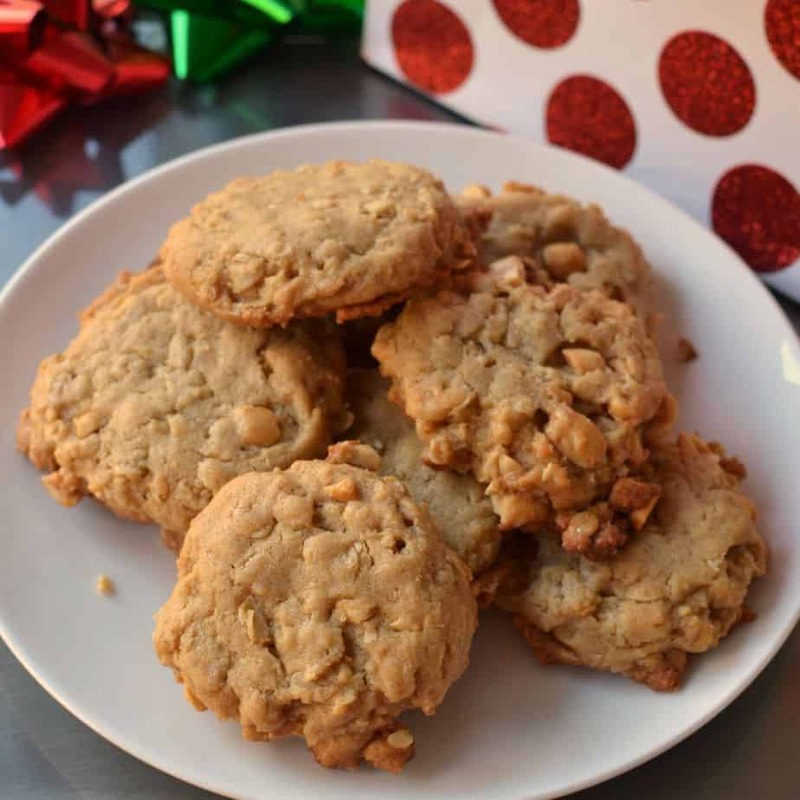 Put these scrumptious Oatmeal Peanut Butter Cookies on your baking list today! Better yet enlist your kids or grand kids to help and make some awesome memories. Other peanut butter recipes you will love! 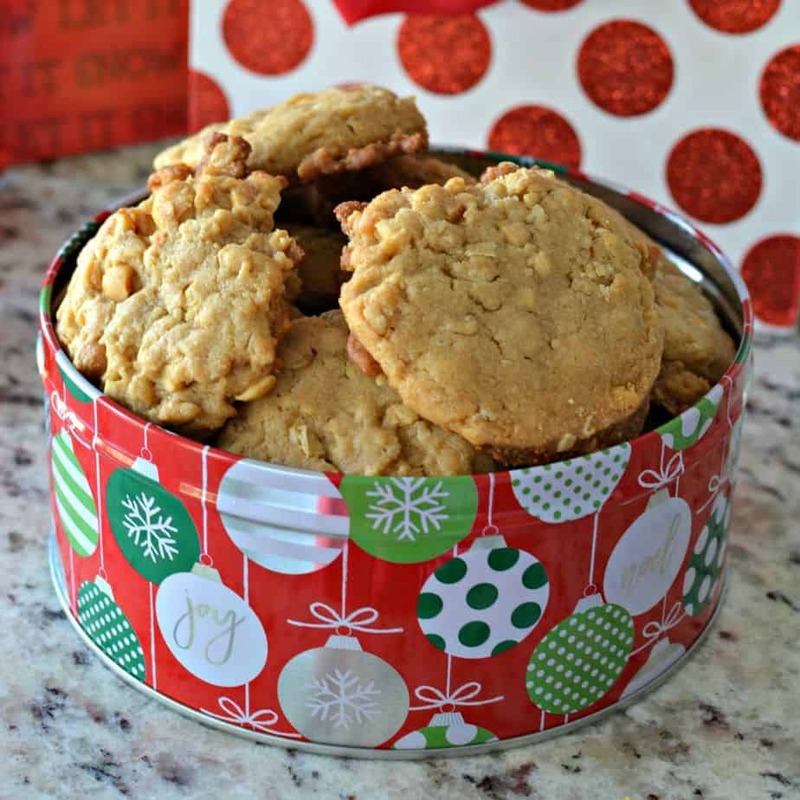 Oatmeal Peanut Butter Cookies are delectable soft melt in your mouth treasures. The recipe is quick and easy to follow with options for splitting the batch and adding chopped peanuts or chocolate chips. In a small bowl whisk together flour, baking soda and salt. Cream the butter, brown sugar and white sugar. Blend in the the peanut butter. Add the vanilla and egg; mix in just until incorporated. Stir flour mixture into the butter mixture in 3 parts; scraping down the bowl and beaters. Stir in oats and hopped peanuts. Using a cookie scoop load the cookies on baking sheets covered with silicone mats or parchment paper. Bake 10-11 minutes or until lightly browned on the edges. Cool for 2 minutes and then move to cookie cooling racks.